I am a Loveland divorce attorney who will help you obtain a fair division of marital assets. A divorce can potentially have a greater impact upon you financially than any other life event. Without the advice of a divorce attorney, you may forgo financial assets you are entitled to and you could end up responsible for the majority of the family debts. Colorado law presumes that all property that is acquired during the marriage is property that should be divided between the parties. Separate property is property that does not have to be divided between the parties and includes a variety of assets such as those you acquired before the marriage, assets received by inheritance or gift, and assets you owned before the marriage. The judge determines the value of the assets and divides them equitably among the parties which does not mean necessary equally. The division of marital property can be complex and the advocacy of a knowledgeable divorce lawyer can help you obtain a fair result. I will employ experts, if needed, for complex valuations such as business valuations. At the Law Office of Roger Seat LLC, I will guide you through the steps of identifying, valuing and ultimately the division of marital assets and debts. 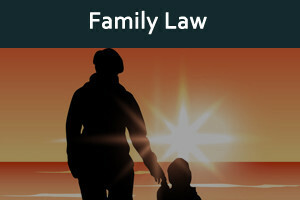 For more information about the division of marital property please schedule a low cost initial consultation with a Loveland divorce attorney by calling 970-663-9384 or fill out the contact form on this website.